Futures Recovery Healthcare, a nationally recognized recovery healthcare provider, offers premier residential treatment and intensive outpatient services for clients seeking treatment for drug and alcohol addiction and co-occurring disorders. 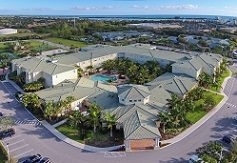 Its primary facility, Futures of Palm Beach, is a Joint Commission accredited 105-bed luxury residential campus with world-class amenities, rigorous clinical programs, and five-star service. Futures earned its impeccable reputation through the relentless pursuit of the highest of morals, ethics, and commitment to client care.